Silke Foged, a student at the Design School Kolding in Denmark received the top award in the Under 25’s category. In collaboration with Lifestyle and Design Cluster and Faroese knitwear brand Gudrun & Gudrun, Silke’s aim is to create a sustainable accessories collection utilising end of life fishing nets along with waste from the fishing industry on the Faroe Islands. 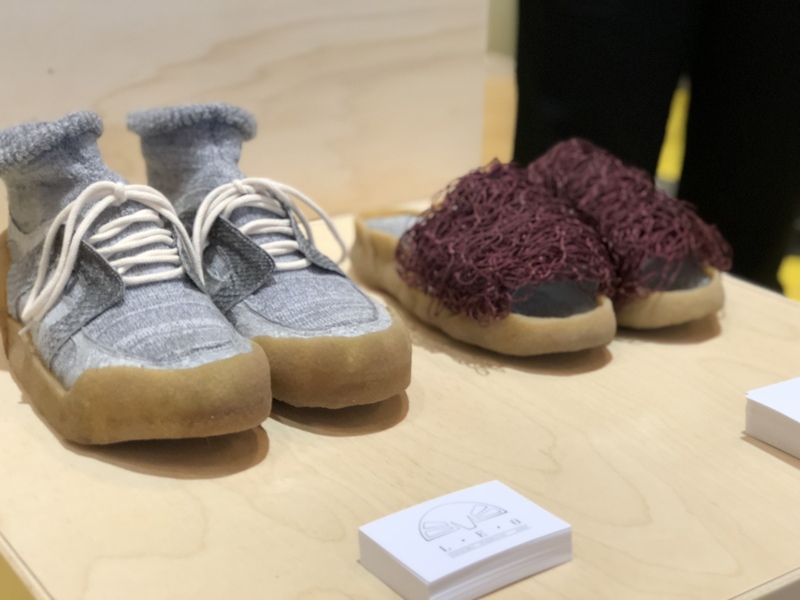 The products will be showcased at the fashion fair CIFF in Copenhagen, in addition to exhibitions at several sustainable fashion events in Denmark. Winner of the over 25’s category is Omali Sanjani, from the University of Moratuwa in Sri Lanka. The idea of “Reject Values” is to produce a creative platform to utilize the end of life FNRC materials in the NPA region as value additions in the field of textile and fashion. Omali’s vision proposes that waste net material would be utilised as raw materials or embellishment for hand weaving and hand embroidery crafts, with the aspirations to attract endorsements for the range through “green” celebrities and red carpet events. A considerable number of entries were received from across the globe, before being evaluated by a panel of experts from the NPA region and specialist networks, including Zero Waste Scotland, the Environmental Protection Agency in Ireland, Norut Northern Research Institute, in Norway, Local Enterprise Office South Cork in Ireland, the MARELITT Baltic Project, Innovation Center Iceland and Global Ghost Gear Initiative (GGGI). Special commendations were awarded to entries from Canada, Northern Ireland, UK and Norway for wide ranging innovations from Compression Moulding and 3D Printing, to an Adventure Gear range created from waste Polyethylene fishing nets, high performance Sustainable Sportswear created from ocean plastics and state-of-the art plastic to fuel conversion technology. Funded under the ERDF Interreg VB Northern Periphery and Arctic (NPA) Programme, the focus of the Circular Ocean project is to seek opportunities for recovery and reuse of waste Fishing Nets & Rope, with a view to benefiting local economies. Partners involved in the Circular Ocean project include the Environmental Research Institute of the North Highland College UHI, Scotland; Cork County Council Iniative “Macroom E”, Ireland; The Centre for Sustainable Design, University for the Creative Arts, England; the Arctic Technology Centre, Greenland and the Norwegian University of Science and Technology in Norway.